This site offers you the possibility to have a closer look at our actual Sidepower brochure, manuals and press releases. When clicking on the items listed you can view the document in Acrobat Reader and save this file to your local hard disk. You might as well print the document on your local printer. 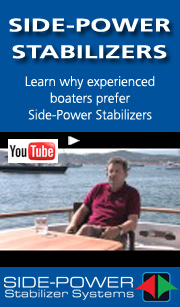 For originals, please contact your closest Sidepower distributor. In order to find your closest Sidepower contact point please use the Sidepower Worldwide link.